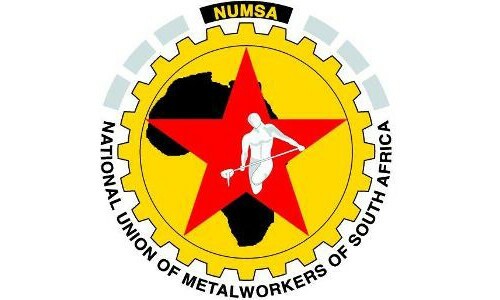 March 3, 2015 -- Links International Journal of Socialist Renewal -- I greet you in the name of the National Union of Metalworkers of South Africa (NUMSA). I am here to give you an update since our general secretary, Irvin Jim, addressed your 2013 conference. I am happy to report that, despite the shrinking of South Africa's manufacturing sector, NUMSA has continued to grow. In 2013 we reported to you a membership of 300,000. Today it stands at 360,000. We are the biggest union in the history of the African continent. Despite massive deindustrialisation in our country, during which hundreds of thousands of manufacturing jobs have been destroyed, NUMSA's membership has grown by nearly 65% over the last six years. NUMSA is truly a dominant force. The key development since Comrade Jim's address to you in 2013 was our Special National Congress at the end of 2013. It agreed to broaden the scope of the union and to organise along value chains -- a break with the strict model of one industry one union that is the history of our federation, the Congress of South African Trade Unions (COSATU). I want to explain each of these resolutions briefly to you. Why did we call for a break with the governing Alliance? First, the government of the ANC and the SACP is presiding over a neoliberal strategy which is damaging the South African economy and hurting the working class and the poor. We sit with an unemployment rate of 35% and the number of unemployed people is rising. In 2012 the ANC, with the support of the Communist Party, formally adopted the National Development Plan. This is a final commitment to a strategy that refuses to restructure our colonial economy. Our minerals will continue to be exported in their raw state while our manufacturing industry declines. The result will be profit for capital and increased poverty, unemployment and inequality for the working class and the poor. introducing wage flexibility for new labour market entrants. The second reason for calling for a break with the Alliance is that it attacking democratic freedoms. You will have heard of Marikana, a community next to a Lonmin mine. You will have heard how 34 mineworkers were massacred by South African police on behalf of private mining capital. You will also have heard more recently of the chaos in the South African parliament as a result of the president refusing to answer legitimate questions about huge expenditure of public money on his private residence. The equivalent of nearly 30 million Australian dollars spent on making his homestead into a luxurious estate. We see the clear signs that we are headed for a security state. And the third reason for our resolution was that there has been a complete breakdown of democracy within the ANC. The will of the leadership is imposed regardless of the views of the membership. In short, those were the reasons for the call to leave the Alliance. In South Africa today community protests, which often become violent and are attacked by the police, take place almost every day. 214 community protests were recorded in 2014. They represent the grievances of South Africa's working class and impoverished people -- a lack of decent housing, a lack of sanitation, a lack of piped water, a lack of electricity. They are complaining that they are being left to rot in apartheid townships while the white ruling class and its black allies get wealthier. These protests need to come together into a protest movement across the country. The United Front is a vehicle for that. We understand that any division of workers' interests between their lives at work and their lives at home is a completely artificial one. Those who live in shacks are workers. Those who use buckets instead of toilets are workers. Those who queue round communal taps are workers. We are pleased to be able to report that we convened an initial Peoples Assembly of the United Front at the end of 2014. The United Front is already active all over the country, supporting and initiating community protests. The United Front will formally have its national launch in June. What about the resolution on building a working-class political party? There is no political party in South Africa today which represents the interests of the working class and the poor. The South African Communist Party has claimed to represent those interests and continues to make that claim. But in reality it has buried itself inside the ANC. Its general secretary is a minister in the government. Its deputy general secretary is a deputy minister in the government. It supports the National Development Plan. As a party representing the working class, it is dead. We have been researching working-class organisation around the world with a symposium and a series of study tours. We will have our own national conference on socialism in the build up to our April Central Committee meeting where we will decide on the form of working class party to build. Our congress decided to endorse the principle of organising along value chains, instead of simply being locked into sectors and industries. We believe that the real power of workers will increase if we organise in the whole of the metal value chain, from mining to transport of raw materials, to production of metals, to manufacturing and transport of the finished product..
As a result of this resolution, we have struggled successfully with the Department of Labour to register our new scope which now includes mining, transport, security, construction, cleaning, industrial chemicals, renewable energy, information and communication technology, aviation and related services, and health and canteen services. We are already recruiting significant numbers in mining and transport. The national leadership of COSATU has failed to implement the militant resolutions of its own 11th Congress. Instead, it has spent the last 2 years trying to get rid of those forces who want to implement them. The result is that the federation has become disarmed and demobilised. At this moment, eight of Cosatu's 19 affiliates are supporting NUMSAa and have refused to participate in any COSATU national structures. This Group of eight has now decided to mount a campaign of rolling mass action in support of the resolutions of COSATU's 11th Congress. It has challenged the leadership of COSATU to support this campaign. A new union in the metal industry has been formed by disgruntled former members and officials. It is being well funded. This is taking place in a year in which all of Numsa's shop stewards stand down and new elections are held. Institutions of the state are less co-operative than they were before, doing their best to obstruct us at every turn. Our leaders are routinely vilified in the media by ANC, and SACP and COSATU leaders. But we are growing from strength to strength. We are fighting to be reinstated in COSATU. But if we don't succeed, we will build a new federation. Whatever happens, as we move forward into this new terrain of struggle, we will remain the militant, revolutionary union that we have always been. As we say in South Africa, Amandla ... Power. Power to the organised working class!